A will contains an individual's final wishes. As a result, any attempt to invalidate it must meet a high standard of proof to succeed in court. Further, some wills contain a no-contest clause in which any beneficiary who attempts to contest the will's validity automatically forfeits the share of property bequeathed to him under the will. To challenge a will's validity, you must follow the probate laws of the state handling the decedent's estate. Look over the will to verify it meets all state requirements for a valid will. For example, some states require two witness signatures. Therefore, the appearance of only one witness signature may create enough doubt in the judge's mind to invalidate the will. Another common error in a will is the lack of the testator's signature, the deceased individual who executed the will. Assemble evidence, including documentation and witnesses, to show the testator did not act under his own volition when writing the will. Common arguments used to demonstrate a testator's "lack of free will" include fraud, undue influence and duress. Undue influence occurs when a beneficiary impedes the testator's free will through improper influence, such as manipulation or deception. Fraud, on the other hand, involves a misrepresentation or lie relied upon by the testator when crafting the will. Finally, duress occurs when a third party uses coercion or force to get the testator to sign the will. Contact witnesses, locate documentation and review any evidence that shows a lack of mental capacity on the part of the testator. Since a will document must accurately reflect the intent of the testator, it may be considered defective if the testator is shown to have lacked testamentary capacity at the time he drafted the will, i.e. was not "of sound mind." In general, a testator has testamentary capacity if, at the time he drafted his will, he understood the nature and value of his property and that he was conveying it to known persons upon his death. A testator's lack of capacity - due to mental illness or incompetence, for example - may invalidate the will, in whole or in part. 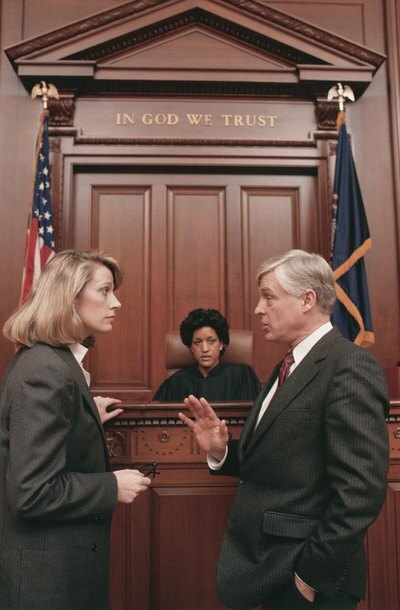 Present the evidence you have compiled to the probate court. The judge may accept the entire will as valid, invalidate the entire will or invalidate only those parts of the will tainted by the defect. Adding an addendum to a will requires a document called a codicil. If drafted appropriately, the codicil will be considered a part of the will and read alongside the original document when the estate is probated. Probate codes, which define the drafting requirements for wills and codicils, are written by each state. However, the Uniform Probate Code has significantly influenced all of the state probate codes. Therefore, the UPC is a good basis for a general discussion on how to amend a will. You should check the provisions specific to your state to ensure that your codicil is properly drafted.